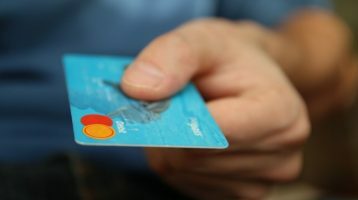 MerchantMachine.co.uk is a free to use website and there is no obligation to register and/or enter any personal details to use it. It is intended for a UK business audience, but all information is offered free of charge for anyone to access. However, we do actively and passively collect and process data, which we feel you should be aware of. All website pages and data are sent using secure SSL technology. We only use the data we collect for its intended purpose and not for other marketing activities. We primarily process information about UK businesses not individuals. MerchantMachine.co.uk processes several types of data for several different purposes, using several third-party partners and platforms. Our primary data processing activity is helping businesses compare card processing fees, rates, costs and prices via a free, no obligation quote service. It is intended to be used only by businesses that are already trading and/or about to imminently start trading and not by individuals or sole traders. Please also be aware, MerchantMachine.co.uk does not provide quotes itself but has instead partnered with Quote My Energy (Trading as QME), Inspire Digital (Trading as Inspired Quotes) and Dirmacom LTD to provide the quotes. They in turn work directly with the payment processing companies. Therefore, we act as both a data controller (since we send them data) and data processor (since they inform use what data they need and decide how to process it). All data we collect on their behalf is required to help filter suppliers that may be right for you. If you would prefer not share certain information, you are free to do so and can still find generic pricing information here. 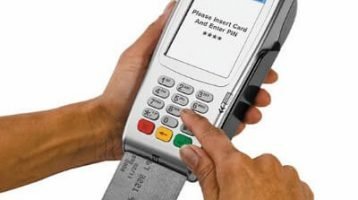 Do you currently accept card payments? – This is asked to help filter potential suppliers. 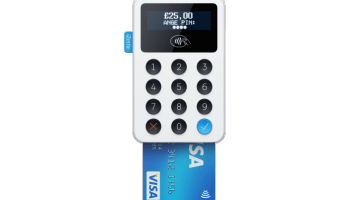 Some suppliers only want businesses that currently process card payments while others are happy to accept new and existing businesses. Your Estimated Monthly Revenue? – This is asked to help filter potential suppliers. 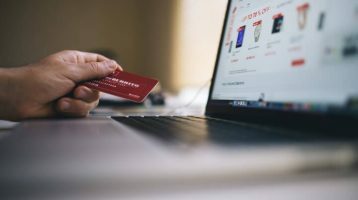 Some suppliers only want to work with businesses that process large volumes of payments, while other are happy to work with businesses of all sizes. Which industry are you in? – This is asked to help filter potential suppliers. Not all suppliers are willing or able to process payments for all types of businesses. Company Postcode: This is asked to help filter potential suppliers. Not all suppliers are willing or able to process payments for businesses in all geographic locations. Business Email Address: This is asked so potential suppliers can get in contact with you to send you quotes. We urge users to use a business rather than personal Email address. Business Name: This is required to make sure you own and/or work for a registered UK business and are not an individual. Your Name: This is required so potential suppliers know whom they are dealing with. You are not required to enter a full name at this stage, (first and/or last name is fine). Business Phone Number: This is required to verify your identity and for potential suppliers to get in contact with you. We urge users to enter a business rather than personal telephone number. You will be redirected to our thank you page which will give you some basic information about card processing fees, explain next steps and also offer some additional information about additional card processing options. It also includes a link to cancel quote request page here. This is an automated tool you can use if you decide you’d no longer like to receive quotes. The form data is then sent via a secure SSL webhook to Zapier.com, which helps us to process the data via what they call a Zap. Once the data is received by Zapier.com, the Zap randomly sends all the data collected to either QME or Inspired Quotes (never both) via a secure SSL webhook. They will then use this data to contact you via e-mail and/or phone about your request and see if you’d like to proceed with getting quotes from leading UK Merchant Account/ Card Processing companies. You are under no obligation to purchase anything and may inform them you would not like to proceed. You can also send a cancellation request via our form here. After the data is sent, the Zap will send the e-mail address entered in the form to Mailchimp via a Zapier integration. This will then trigger an automatic e-mail that contains the same information as found on the thank you page. It will then send 3 follow-up e-mails: one about Point of Sale systems, one for Accepting Direct Debit Payments and one for Ecommerce solutions. 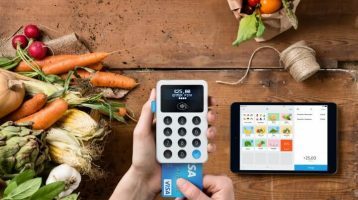 These are sent as we’ve found that many businesses are confused about the various payment processing options available in the UK and these are the 3 most common ways to accept payments beyond Merchant Accounts. You can easily unsubscribe from all e-mails by clicking on the unsubscribe link in either the top or bottom of each e-mail, which will cancel all future e-mails. Finally, we will also send an annual follow-up e-mail to review your payment processing options. Once again you can easily unsubscribe from these e-mails. At this stage the Zap is complete and Zapier will automatically delete all data within 90 days. This gives us time to help sort our any issues, but means data is not stored longer than necessary. We will retain your business e-mail address (and nothing else) until you unsubscribe from Mailchimp. QME or Inspired Quotes will retain information for as long as their internal policies warrant. If you have any concerns about the data they may hold, please get in contact with us and we will do our best to help. We use the following third-party tools to help us run a useable website. They do not share any personal information about you with us, but they may still collect information about you and your computer that may be considered personal information. Google currently offers an Analytics opt-out here or you can use a third-party tool such as Ghostery. 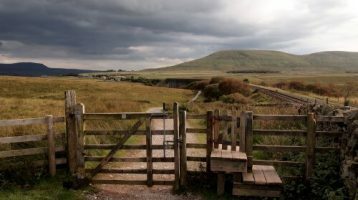 Facebook Impressions and Connect: These are used to help make it easier to share content from our website and blog on Facebook. We do not use them for any remarketing or retargeting. See Facebook’s Data Page for more on how they use your data. ShareThis: We use this to help make it easier to share our website content across social media channels. You can opt out of data collection on their privacy page here. External / Affiliate Links: We sometimes track external links either via Google Analytics and/or third-party affiliate tracking platforms. Any sort of tracking only occurs if you click on an external link. At the bottom of every page where this occurs we disclose which links are affiliate links, but if you’re concerned about this, the simplest option is to not click on external links from our website.